There is the saying that ‘fat adds flavor’ and the problem with flavorful braised beef ribs has been the fat. The problem with braised beef ribs is the fat that comes from using the bone-in ribs. This recipe uses boneless beef ribs. Now, since we are not using the bone, we loose a lot of the thickness in the broth that comes from all the gelatin in the bone’s connective tissue. To add this thickness back to the broth, I add a bit of unflavored gelatin. So, we’ll cut the fat, but not the flavor. Heat the oil in large heavy-bottomed Dutch oven over medium-high heat until smoking and brown the ribs. Work in batches to prevent over-crowding. When its browned transfer the meat to a bowl and hold on to it. Reduce heat to medium, add onions, and cook, stirring occasionally, until softened and beginning to brown, 12 to 15 minutes Add in the tomato paste and cook. Then add garlic and cook. Increase heat to medium-high and add Guinness, broth, carrots, thyme, and bay leaf. Add beef and any accumulated juices to pot; cover and bring to simmer. Transfer pot to oven and cook, using tongs to turn meat twice during cooking, until fork slips easily in and out of meat, 2 to 2½ hours. Place water in small bowl and sprinkle gelatin on top; let stand at least 5 minutes. Using tongs, transfer meat and carrots to serving platter and tent with foil. Strain cooking liquid through fine-mesh strainer into fat separator or bowl, pressing on solids to extract as much liquid as possible; discard solids. Allow liquid to settle about 5 minutes and strain off fat. Return cooking liquid to Dutch oven and cook over medium heat until reduced to 1 cup, 5 to 10 minutes. Remove from heat and stir in gelatin mixture; season with salt and pepper. Pour sauce over meat and serve. I like this over egg noodles. There is something of a comfort food quality that I associate with slow roasted pork. Whether its ham, smoked ham, shoulder, loin, or in this recipe pork belly. Although this particular cut of pork contains a good dose of fat, the slow roasting process renders that fat down so that most of it doesn’t wind up on your plate, or your belly. Using a very sharp knife, score the skin of the pork, this helps the fat run off. Take care not to cut all the way through the fat to the meat. Boil a kettle full of water (about 10 cups) and pour it over the skin. Throw away the water and pat the pork dry. This will help the skin crisp up during the cooking. Rub the pork with the canola oil and sprinkle with salt. Place the vegetables in a roasting dish and put the pork on top, skin side up. Pour the cider and stock around the meat. Toss in the bay leaf, and cloves. Sprinkle with salt and pepper. Roast the pork in the center of your oven for 20 minutes, or until the skin is brown and crisp. Reduce the oven to 275 degrees and cook for another 2 ½ hours. Remove the pork from the oven, transfer it to a plate, and leave in a warm place to rest. Strain the contents of the roasting dish through a fine sieve and place in a pot. Bring it to a boil over high heat and reduce the liquid, skimming all the time, until the sauce thickens and becomes syrupy, about 8-10 minutes. Let’s not forget to have desert, its one of the best parts of any diner get-together. Carolans Irish Cream is produced in Clonmel in County Tipperary, Ireland’s ‘Golden Vale’, and is probably the best natural dairyland in the world. The perfect setting for producing the delicious, rich cream that goes into Carolans. This recipe calls for a little Carolan’s Irish Cream added to me super-secret rice pudding. The real secret here is to soak the rice in water for about half an hour before we start. Now, heat the milk and half / half on the top of a double boiler. Drain the rice and add it to the milk mixture. Then, add the sugar and cinnamon. Cook over the simmering water for about an hour (until the liquid is absorbed). Stir in the Carolan’s and cook another fifteen minutes or so. Then let this cool down before transferring it to the fridge for a couple of hours of chill time. Serve this in desert bowls with a dollop of whipped cream and dust with cinnamon. Smithwick’s is an Irish red ale style beer from Kilkenny in Ireland. Smithwick’s is listed in the top five best tasting beers by the McHale beer rating club of Ireland. 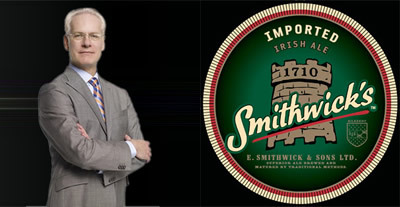 And if you can’t trust an Irish beer drinking club on matters of taste, who can you trust, Tim Gunn? Well if you happen to find yourself just sitting around with a bottle of Smithwick’s and a head of red cabbage, then you have the makings of a great side dish, and you even get to drink half that bottle. Cook the bacon till crisp and set on a paper towel. Add the onion and apples to the bacon drippings and saute. In a large mixing bowl, combine the cooked apples and onions to the cabbage, currant jelly, caraway seeds, and half a bottle of Smithwick’s. Combine gently and transfer it to an ovenproof casserole dish and pop it in the oven. Drink the other half of the bottle (it’s part of the ‘clean-up’ process so, cheers!). Cook the cabbage for about 40 minutes. It’s a blog about Long Island, so there has to be a duck in here somewhere… and this is a wonderful recipe that I usually make in the fall, but its equally at home in March I suppose. The tang of apples and the succulence of duck… brought together with a hard cider sauce. Rub your duck with a little salt and pepper and fill its cavity with the diced apples. Secure the flap with skewers and place it on the rack of a good roasting pan. 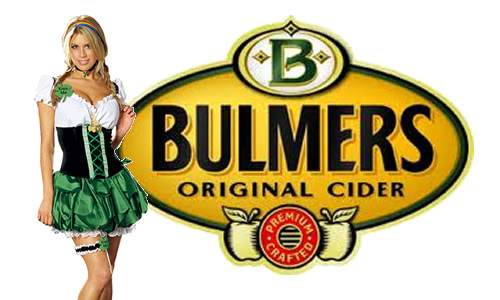 Pour ¾ of the bottle of cider over the duck, and then lay a rasher or two of bacon over it. Pop this into the oven for about 2 ½ hours, basting every twenty of thirty minutes or so. Once the duck is cooked, transfer it to a warm serving platter and let’s make some sauce. Deglaze the roasting pan over a medium heat with the remaining cider, then lower the heat and add the butter then start adding the flour to create a smooth roux. This is then poured into your gravy boat, and it should really float your duck over there. Steak and whiskey sauce is a good way of getting a little more whiskey in your diet, and how many of us could use a little more whiskey in our diet. As we continue our March cooking madness with a focus on Irish recipes, and at least a perfunctory nod toward to our local ingredients. So, since the whiskey merchant is just down the street, Jamesons is local to me. That being said, I still feel that fresh local mushrooms and onions add a little local flavor to this steak dish, and we can always serve this with mashed local long island potatoes. Melt the butter in a cast iron skillet over medium-high heat. Add the steaks and cook until they’re done to your preference. Transfer them from the pan to a heated platter, and cover them loosely with foil to keep warm. Now toss in the skillet the garlic, onion, and mushrooms, and sauté over medium heat until soft. Add the honey and wholegrain mustard to the pan and stir it in. Add the whiskey, gently and turn down the heat. Stir in the beef stock, deglazing the pan. Boil gently until the amount of sauce in the pan is reduced by half. Stir in the cream, and continuing stirring until the sauce thickens. Taste the sauce often, and add salt and pepper as needed. 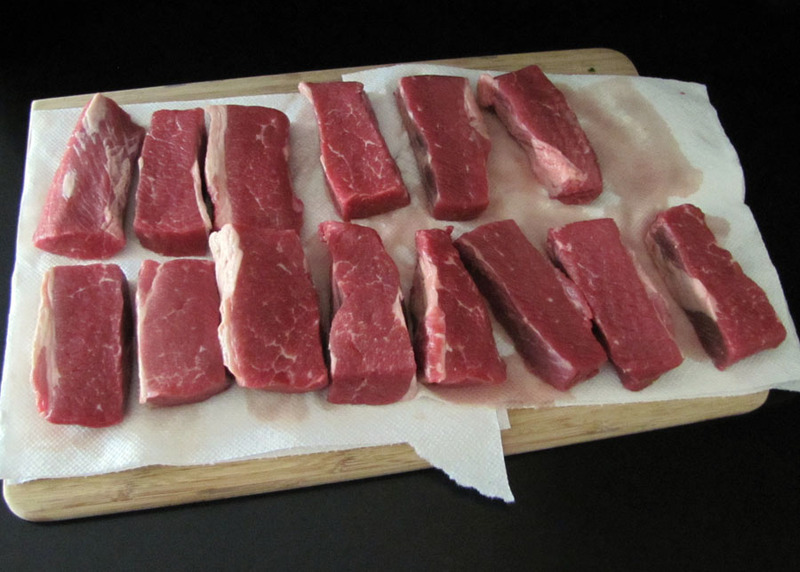 To serve, slice the filets, put them on plates, and pour the sauce over the top. Blarney Stones – my version of Guinness battered scallops. Here on Long Island we have access to rather fresh scallops. However, there are times when you get scallops that are ‘less than optimal’. When this occurs, coating the little mollusks in a beer batter is a tasty cover-up. Rinse the scallops and drain to a towel. In a large bowl, mix 1/2 cup of the flour, the corn meal, hot sauce, salt and pepper with enough beer to make a batter a little thinner than a pancake batter. Put the remaining flour in a plastic bag, add the scallops, close the bag and shake well to coat them evenly. 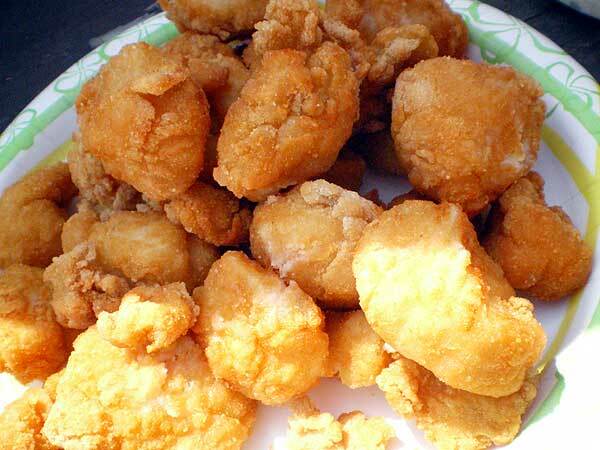 Remove batches of the scallops, coat well in the batter and fry in the pre- heated oil until golden brown. Remove the scallops from the oil and drain on paper towels. Whenever you go to a good pub, the menu always features one of my favorite comfort foods. 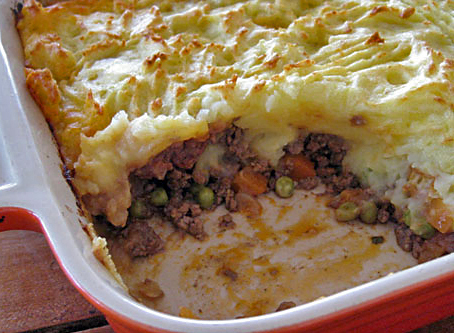 That’s right; we’re talking about a Sheppard’s pie… cooked long and slow. Now, there are quick and easy recipes that will tell you how to make one of these in thirty minutes, or even quicker. But the whole point it seems to these winter comfort foods is to take the long, slow, warm, approach that not only heats the hearth, but warms our memories as well. Add minced lamb into a casserole dish, add onion, carrot, celery, beef stock, corn starch, salt and pepper, to taste, and stir. Cook in a slow oven, 275°F for about 2 hours. Its important that the flavors meld together. You can do all this on stove top for about 20 minutes BUT the flavor is never the same. When complete, drain off gravy and put that on the side. Boil and mash potatoes with milk, butter, salt and pepper, however don’t make it into a wet paste. It should be firm and almost chunky, think ‘rustic’, and for gosh sakes don’t use the mash potatoes in a box! Add back enough gravy to the meat to make it moist. Gently add the mashed potato to the top and build up. Spread with a fork, finally making fork marks both up and down and across to form a basket like pattern. Put oven temperature at 400°F, then bake until potato is crispy and golden on the peaks (about) 30 minutes. Serve with remaining gravy, and a pint of Guinness or two.